I'm a soccer fanatic, and I love watching the World Cup. Soap operas hardly have more drama! 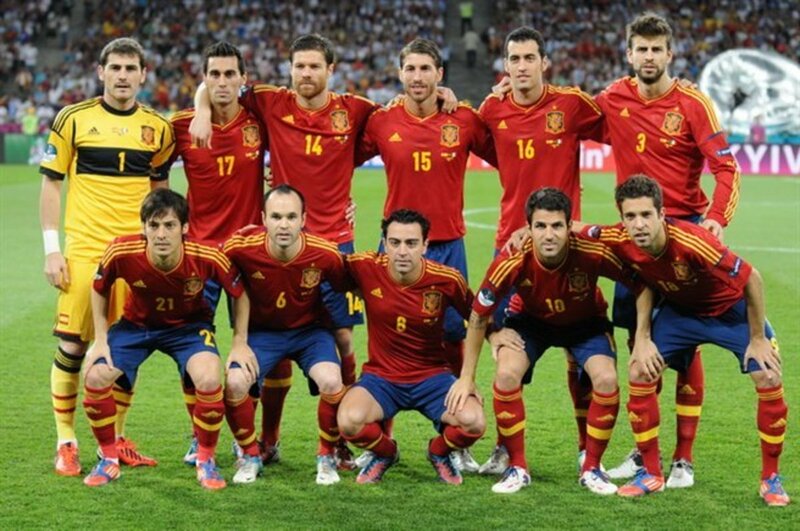 The World Cup is the biggest sports tournament in the world. 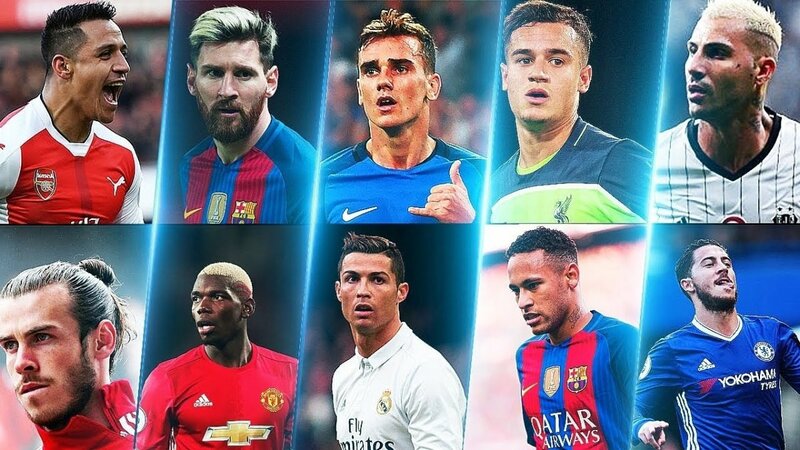 FIFA revealed that the 2014 tournament reached an audience of 3.2 billion, with the final being watched by over a billion people. The tournament is celebrated for producing the most famous—and infamous—moments in soccer history. 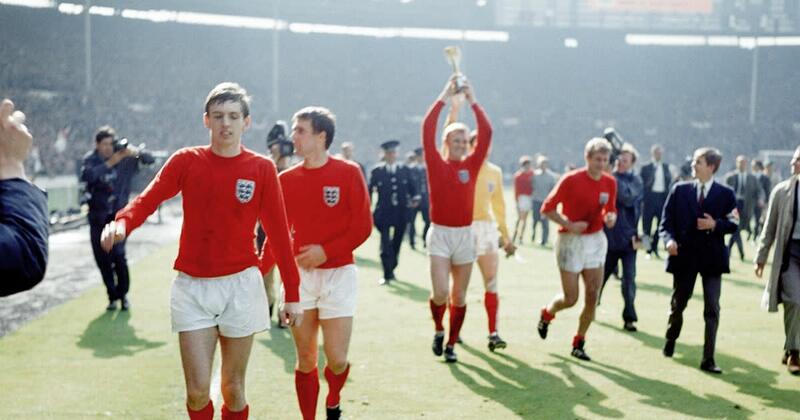 Here we’ve compiled 10 of the more shocking moments in World Cup history. 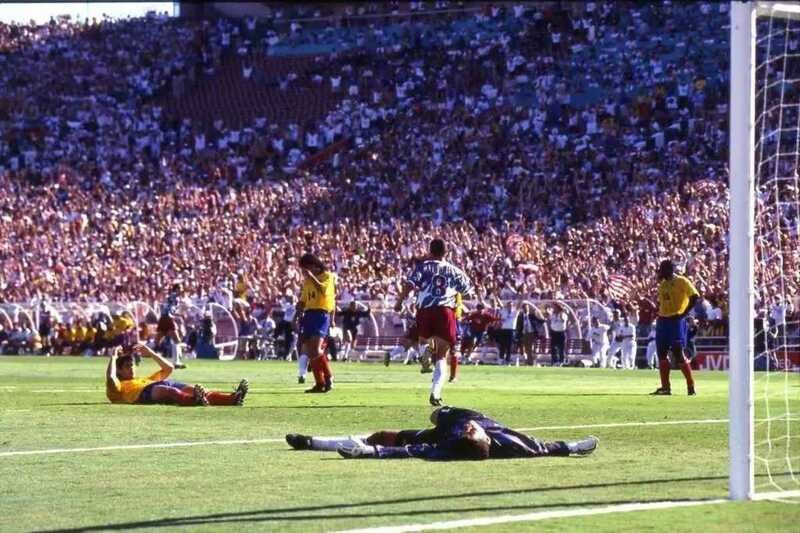 The quarterfinal match between England and Argentina would be remembered for the most infamous goal in soccer history. With the score tied at 0-0 in the 51st minute, Maradona ran towards England keeper Peter Shilton to challenge a ball in the air. All bets were on Shilton to get to the ball first and punch it away as he was the taller player. However, it was Maradona who got to the ball first with a sly outstretched arm and punched the ball into the England net. To the disbelief of the England team, and the rest of the world, the goal was allowed. 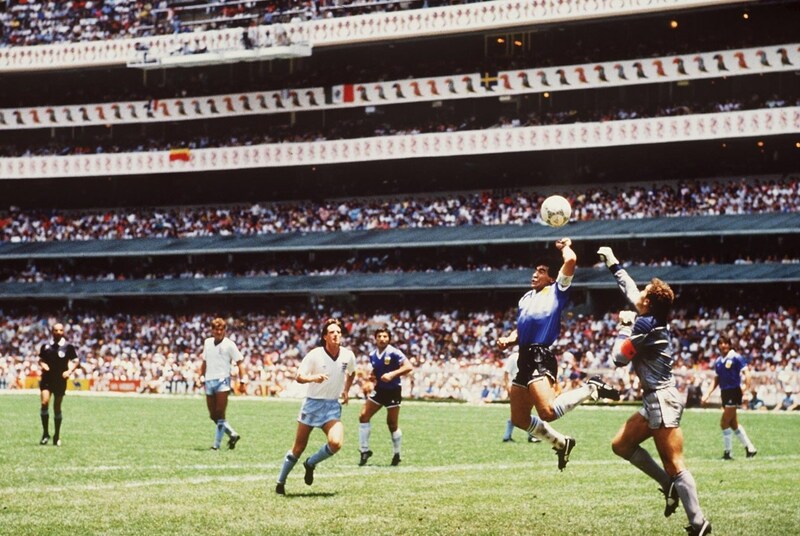 The obvious handball would become forever known as the ‘Hand of God’. In Uruguay’s final group game against Italy, it was defender Giorgio Chiellini’s turn to experience the mouth of Luis Suarez. For the third time in his career, the Uruguayan striker bit his opponent. This time, it was Chiellini in a penalty-area scuffle. 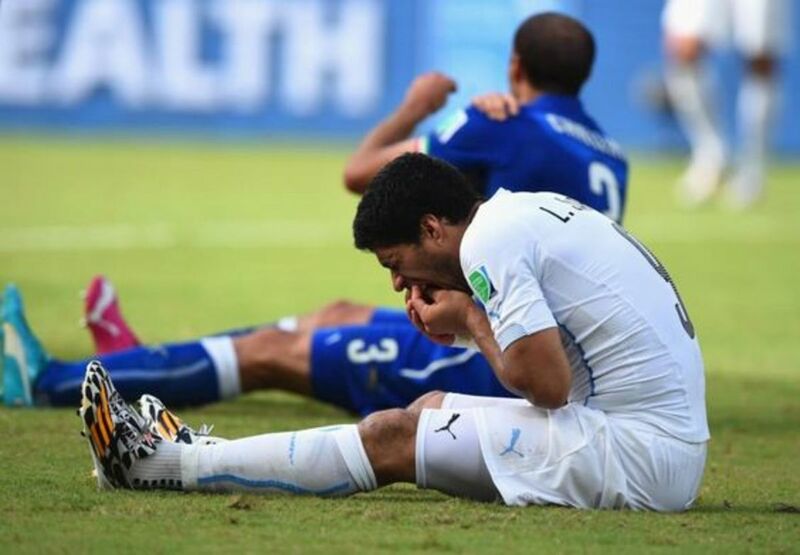 While the Mexican referee did not see the bite, FIFA’s subsequent inquiry banned Suarez for four months and nine international matches. Suarez was also fined close to $92,000. We previously mentioned on HowTheyPlay that Zico was nicknamed the ‘White Pele’, and in their opening game against Sweden, the Brazilian came to know why Welsh referee Clive Thomas was nicknamed “The Book.” Deep in injury time with the score tied at 1-1, Zico was on point to head the ball into the Swedish net. 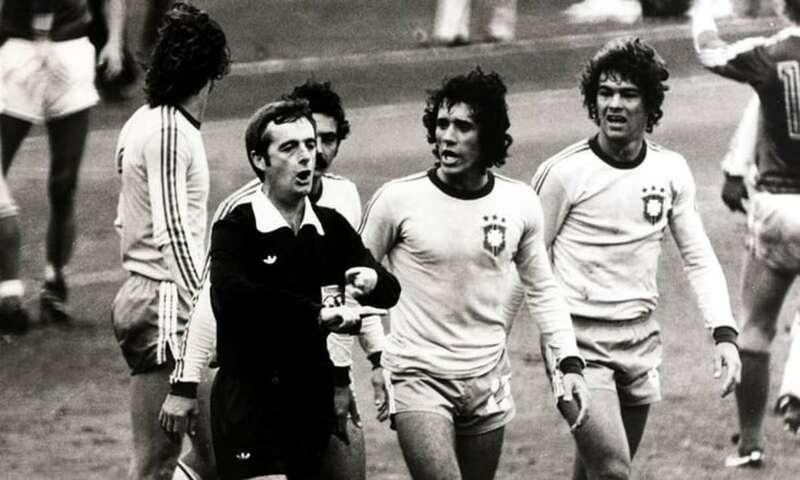 However, the officious Thomas believed that too much time had elapsed into injury time and blew his whistle a fraction of a second after Zico made contact with the ball. With goalkeeper Ronnie Hellstrom beaten, the ball rocketed into the net, alas, a fraction of second too late. 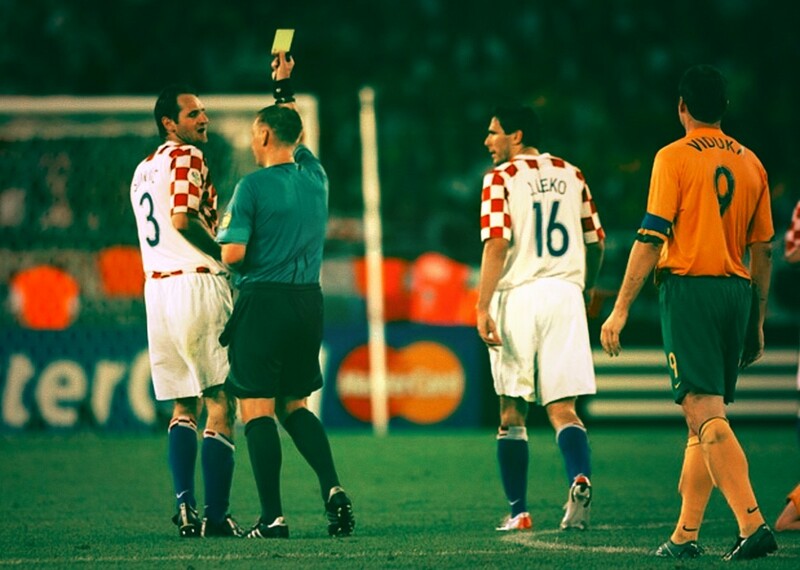 A World Cup first, Josip Simunic was booked three times during Croatia’s Group F match against Australia in Kaiserslautern. When English referee Graham Poll booked the Croatian in the 61st minute he neglected to write his name in the book. Poll would book Simunic once more in the 90th minute, both not show the red card, and finally send him off in the 93rd minute for what he believed was a second yellow, recounts Sports Break. The game ended in a 2-2 draw. What has come to be known as the dirtiest, ugliest and most vicious and disgraceful game of soccer in the history of the World Cup, took place in Santiago between Chile and Italy. Yellow cards were yet to be invented, the first foul came after just 12 seconds into the game. Referee Ken Aston would issue the first red card 12 minutes into the match to Italian midfielder Giorgio Ferrini. The match featured numerous punches, a broken nose, two red cards, and riot police invading the pitch three times. 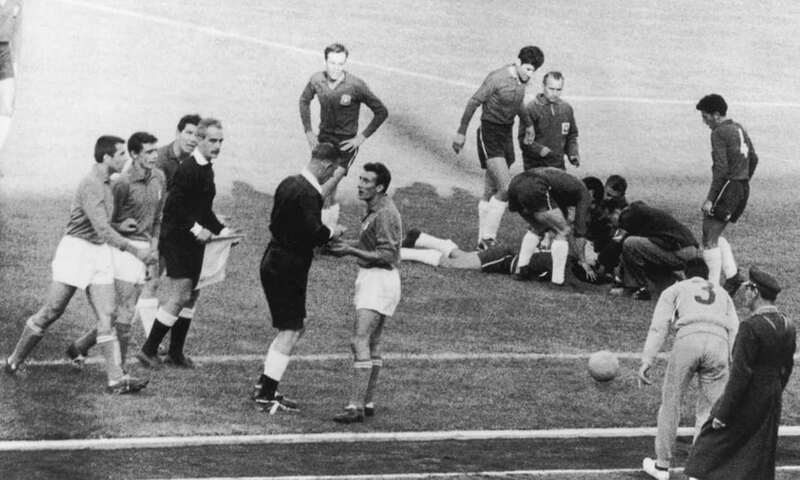 In what seemed to be the sequel to the Battle of Santiago, the round of 16 clash between the Netherlands and Portugal in Nuremberg saw a World Cup record of four red and 16 yellow cards issued. As early as the second minute, referee Valentin Ivanov booked Marco Van Basten for a reckless challenge. 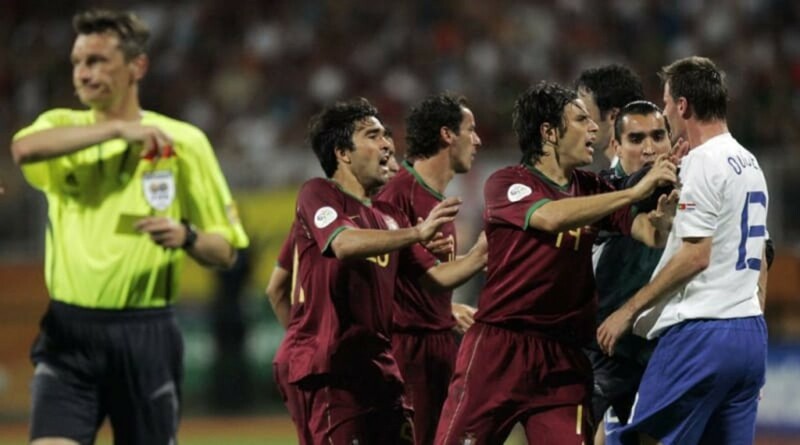 Costinho and Deco from Portugal, and Khalid Boulahrouz and Giovanni van Bronckhorst were sent off. Expectations were high for Colombia to advance far into the tournament and even win the World Cup. Unfortunately, that bubble was burst in Pasadena against the U.S., when fullback Andres Escobar mistakenly deflected the ball into his own net. With Colombia having failed to move out of their group, they were sent home. CNN reported that 10 days after the match, Escobar was shot 12 times outside a bar, in his hometown of Medellin. 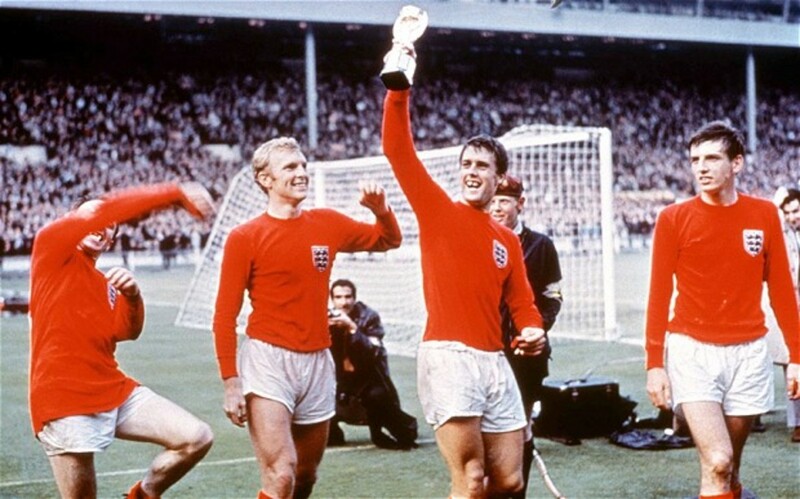 In what has come to be known as the most controversial World Cup final win, host nation England faced off against West Germany at a packed Wembley Stadium. 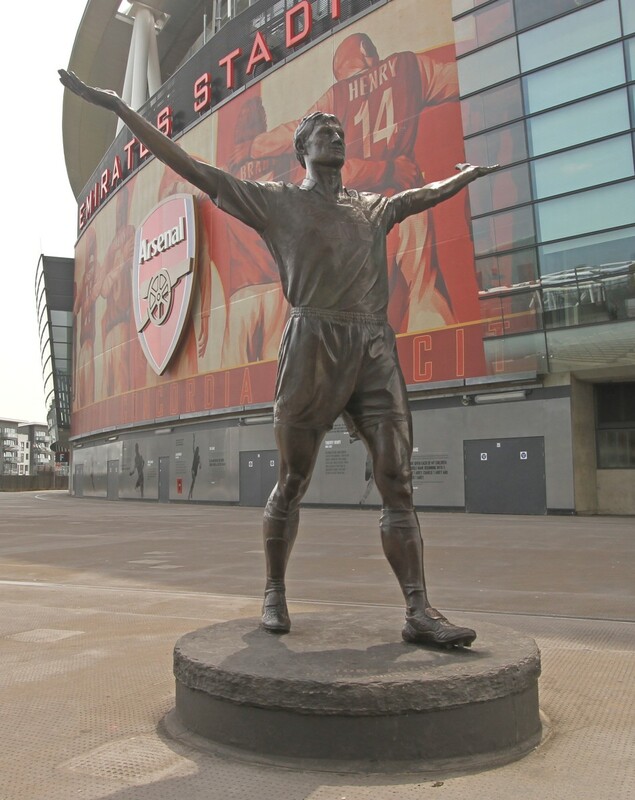 With the score level at 2-2 and the match 11 minutes into extra-time, Geoff Hurst’s shot from inside the penalty area ricocheted off the inside of the crossbar and down onto the goal line. After a few moments of confusion, the goal was awarded by the assistant referee. Even today, the video review is still inconclusive (unless you're English, of course). The French star literally bowed out with a bang in his final appearance on the international stage. 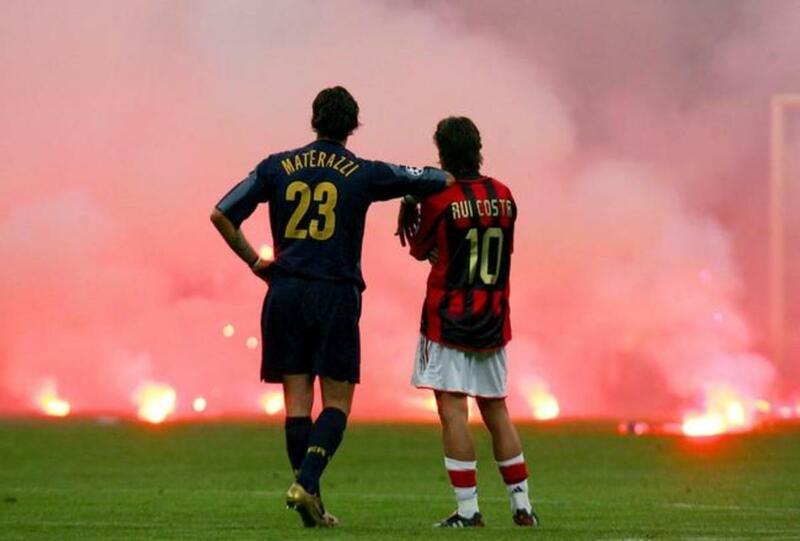 Ladbrokes report that both Zidane and Materazzi scored in the final, before being involved in arguably the most infamous red card in World Cup history. Unnecessarily responding to Materazzi’s insults, Zidane headbutted the Italian and was promptly sent off. The French legend ended a brilliant international career on a low note. Italy went to win the World Cup after a 5-3 win in a penalty shootout. 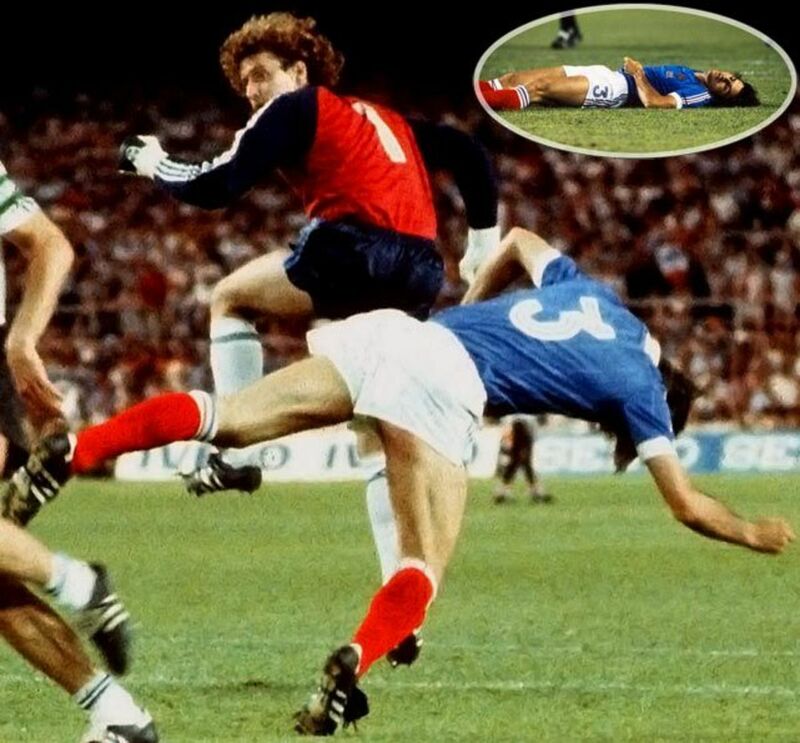 During the semi-final in Seville, with Germany and France level at 1-1, Michel Platini found Patrick Battiston with an excellently timed pass deep into the German defense. 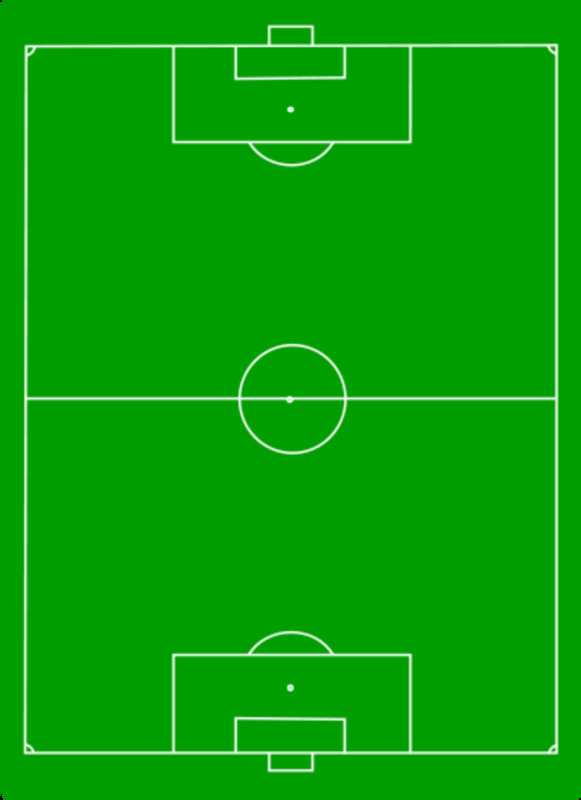 Keeper Harald Schumacher raced off his line, and despite Battiston looping the ball over him, Schumacher continued his run smashing into Battiston at full speed. The Frenchman was knocked out, suffering the loss of two teeth and a broken vertebra. Red card notwithstanding, the referee failed to even award a free kick.